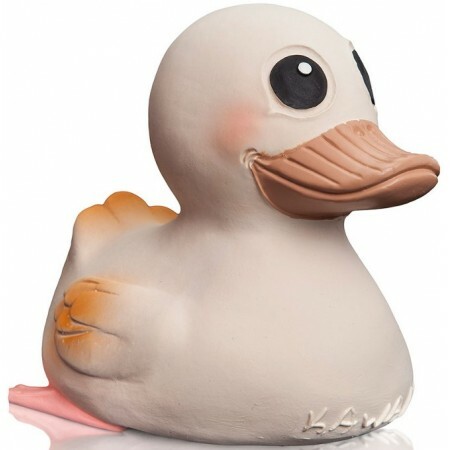 All natural rubber duck toy with plant pigment colours for safe bath time and teething. Your baby's best eco companion without BPA, phythalates or PVC. Suitable for new borns and up. 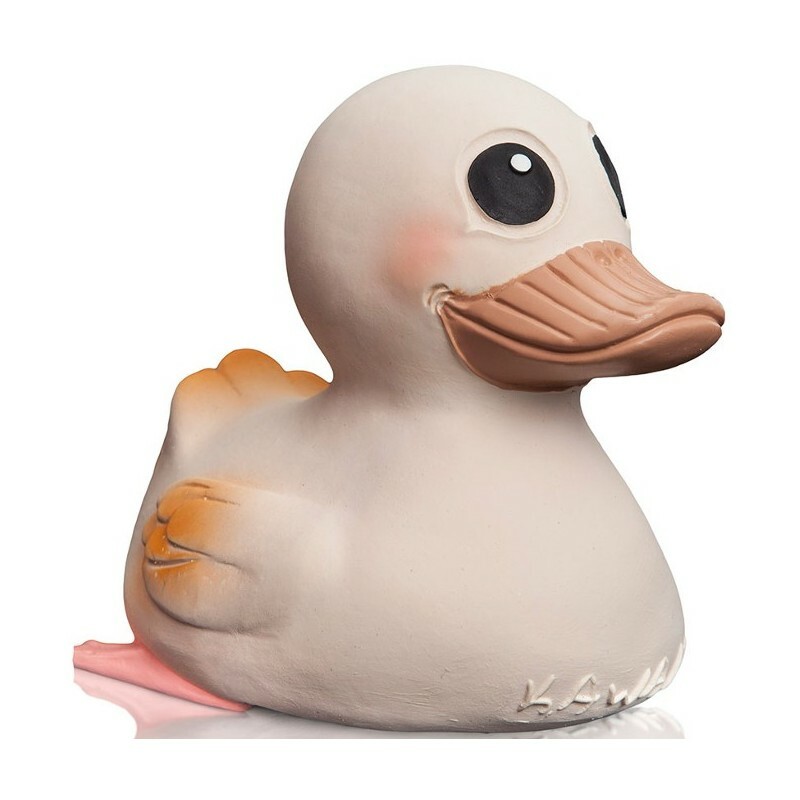 Rubber duck is hand painted with natural plant dyes. Hygienic, one-piece design prevents bacteria and mould accumulating inside. Large size is 14cm tall. 14cm tall and 12cm long.